As a business owner, you know that marketing is a key component of your success. However, knowing where to start is often tricky. Do you focus on traditional marketing components like mailers and postcards? Do you try to secure word of mouth referrals? Or do you stake your claim online? Typically, digital marketing provides the greatest returns on investment but it’s often tricky to execute. Making sure it stands out is crucial to your success. Whether you’re a coffee club looking to secure subscribers or a content agency seeking out your first clients, implementing the right strategies is your first step in moving your business forward. If you’re trying to make sure your website is visible to all of your prospective customers and you’re ready to gain an edge on your competition, digital marketing is likely to be the field in which you’re most able to succeed. Just knowing that you’re interested in digital marketing isn’t enough. Are you going to invest your time into search engine optimization, pay-per-click advertising, or social media? Maybe you’re going to do all of the above. Regardless of your final choice, you need clearly defined goals to make sure you have a way to measure your success. More conversions? Set up a defined funnel. More traffic? Write appealing content to attract users to your site. More brand awareness? Maybe you need a PPC campaign to get your name in front of potential customers. Now that you’ve chosen the right campaign for your business, it’s time to see it through. 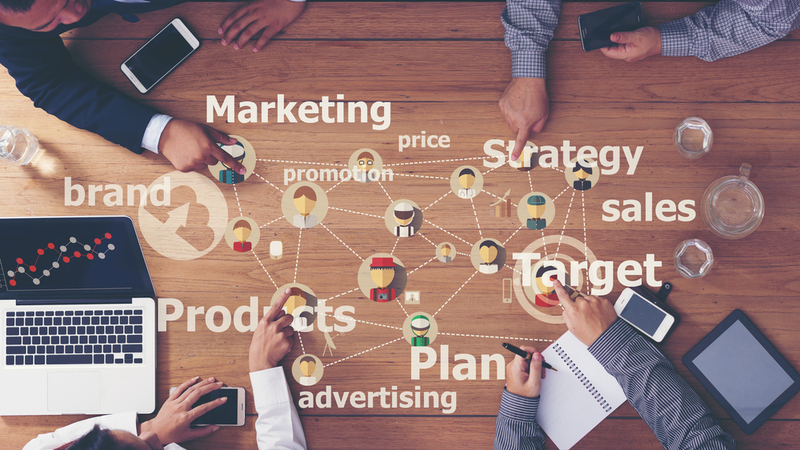 Depending on your bandwidth and the size of your business, you may very well be able to execute a fairly successful first marketing campaign. When it comes to digital marketing, though, consistency is key. If you don’t think you’ll be able to devote the necessary time and resources for the entire length of your campaign, you may need to bring in outside help. You’ll need to choose carefully. Not all agencies are created equally or are as committed to your success as you are. It’s important to select an agency that has a good reputation, a record of achieving results, and impeccable communication skills. After all, you need to be able to discuss strategy effectively. While it may be tempting to shell out for the most expensive agency you can afford, remember that a higher price doesn’t always translate to higher quality. In fact, in larger agencies, it could mean that your account is being passed around from specialist to specialist which can easily create a communications breakdown and leads to poor results. If you’re ready to fire up your business’s first marketing campaign but you aren’t quite sure where to start, the first step is to do your research. Oftentimes, you’ll find enough disqualifying evidence through a simple online search, whether it be an outdated website or unprofessional marketing materials. Look for agencies with well-optimized sites, solid client testimony, and the industry know-how to take you to the next level. One such company is Link Graph. The digital marketing and SEO experts at LinkGraph partner with numerous clients to execute their marketing visions, whatever they may be. From effective link building campaigns to top-notch search engine optimization efforts, their success speaks for itself. Marketing is an essential part of business success. In a highly competitive world, you need to be doing all you can to help your company truly stand out from the crowd. If you’re not as well-versed in digital marketing or you simply want to leave it to the pros, it’s important to reach out to an agency to truly give your first marketing campaign the extra bit of oomph it needs.